It’s been a while since South Carolina State has won the MEAC and even longer since Howard did. Despite that fact, there will be plenty of talent on the court whe the two teams meet up in Orangeburg on Saturday as the MEAC’s top three scorers will be on the floor. Damani Applewhite is South Carolina State’s big gun. The 6’8 big man from Fayetteville, NC is averaging 17.5 ppg and 7.1 rebounds per game while shooting better than 51 percent from the field. He’s scored 20 or more points six times this season, including 27 points on 10-for-13 shooting against SC-Upstate. SCSU is currently 2-1 in the MEAC, winning back-to-back games in Baltimore after dropping its conference opener against A&T. 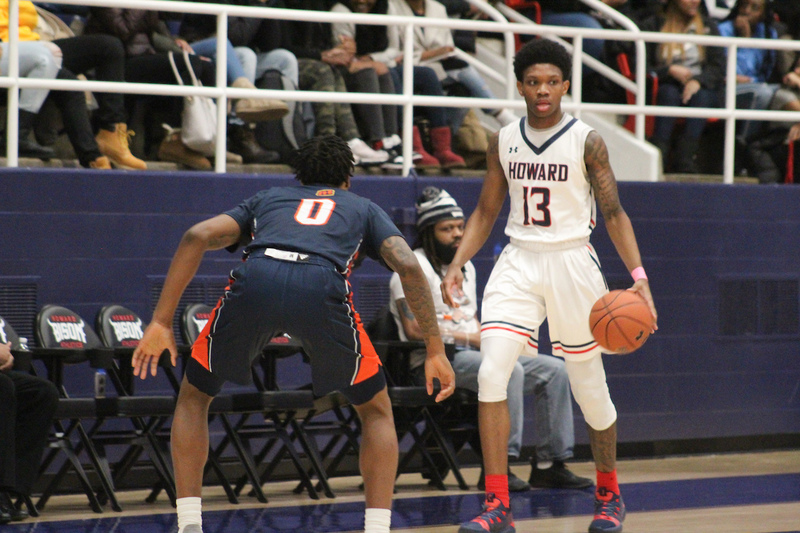 Howard got off to a fast start, but has been struggling of late, starting MEAC play with a 1-3 record despite having two of the top scorers in the conference. R.J. Cole is the conference’s preseason player of the year, and for the most part, he’s lived up to that billing this seaon. Cole is averaging 20.6 points per game, down three points from his average last season. He’s playing about three less minutes, and shooting about three less shots per game, so that makes sense. He’s shooting less three-pointers per game and getting to the foul line a bit more, though. Cole’s running mate, C.J. Williams has also been a bright spot for the Bison. The junior from Richmond is averaging just under 19 points, and has scored 20 or more in seven games this season. He put up 27 against Morgan State as HU fell in overtime. Like Cole, he’s seen his minutes drop from last year (35.5 to 31.6) and his scoring average too (20.4 to 18.9). Still, he’s a scorer that you have to be aware of at all times. Our Wali Pitt will be in SC capturing all the action with highlights and setting the stage on Monday’s HBCU Gameday Fastbreak. Grambling at Texas Southern: The defending SWAC regular season champs, Grambling, will look to knock off the defending SWAC Tournament champs. Morgan State at NC A&T: A&T will try to remain perfect in the MEAC at home over an up-and-down Morgan State squad.